LUXURY VILLA BAY FRONT,VIEW,PRIVATE POOL,PRIVATE PARKING,WIFI,GATED COMMUNITY. This 5500 Square Feet (500 m2) Villa is located in a gated community called eastern Shores. Eastern Shores is a neighborhood within the city of North Miami Beach in Miami-Dade County, Florida, United States. It is located about 12 miles (19 km) north of Miami, just south of the city of Aventura. The neighborhood is made up of all man-made canals except the natural canal on the North Side of the neighborhood. Eastern Shores is bounded by Sunny Isles Blvd to the South, Maule Lake to the West, The Intracoastal Waterway to the East, and Dumfounding Bay to the Northeast.Eastern Shores is located right next to the city of Sunny Isles Beach. There are 2 sides of each street in Eastern Shores, when you are on the main street (Eastern Shores Blvd) you can turn either right or left for each street number. The Left side (West side) of Eastern Shores are all Single Family Homes. The right side of Eastern Shores (East Side) are all Condominiums and Townhouses.Eastern Shores is a guard gated community, manned by a North Miami Beach Police Officer 24 Hours 7 Days a Week. This guard house and guard gates were created in only 1997. Eastern Shores is a very safe neighborhood and crimes usually never occur. Eastern Shores was also created their own Fire Rescue by the City of North Miami Beach named Eastern Shores Fire Rescue station located right next to the guard house, and Eastern Shores' own Basketball court and Playground. Eastern Shores is located right next to the Intracoastal Mall which has a Movie Theater, a frozen yogurt shop, Winn-Dixie, Kirklands Home Store, a Shoe Store, an Apparel Store, an Office Building, a Spanish Cuisine, an Italian Restaurant, a Steakhouse, and more. A couple of those restaurants, you will be able to drive your boat right up and enjoy a gourmet meal! Almost every single property in Eastern Shores has a waterfront view. Miami Vacation Rentals. US is a family business managed by Guy Tenenbaum, his daughter Delphine and his son Olivier. Our Corporation owned all the Miami Vacation Rentals we offer. This way, if something wrong, we fix it right away without having to ask anybody. We are sure that you will spend great vacation with us in Miami Beach. Villa Bayview is well equipped for all your vacation needs.Enjoy your Vacation and thank you very much for choosing Villa Bayview for your Vacation. FRAUD WARNING: Florida State and Miami Licensed Home. 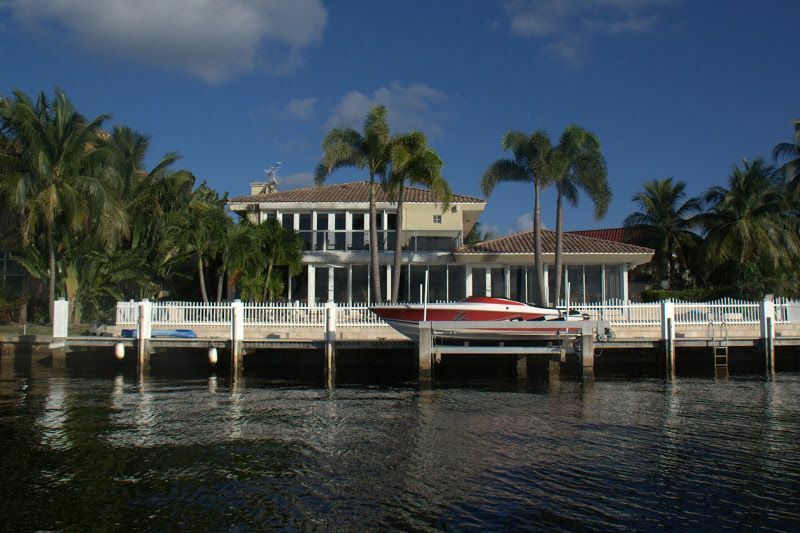 This Villa is a LEGAL SHORT TERM RENTAL with Florida and City Licences. NO RISK to be evicted by the POLICE. Never rent in Miami if the houses do not have Floida and City LICENCES for Short Term Rental or Vacation Rental. Don't take the risk to be evicted or fined by the Police by renting from an unscrupulous owner. By renting from a licensed company you reduce your risk of any fraud as well. Make sure you verify this information. On BestMiamiRental you will find all the links for all our Villa's Licenses advertised on VacationRentals. Be Aware that Vacation Rental is strictly prohibited in SOUTH BEACH. Miami Beach WITHOUT Florida Resort License. Comfy with the most amazing bay view! Day or night the scenery is amazing. From check in to check out the process was easy. Delphine was amazing and available to answer any questions I had. My children loved this place and did not want to leave. T.H. I have to say that my stay was wonderful. Delphine kept in contact with me the whole time I was there. The place was clean, and had a wonderful view. There were some minor problems, but Delphine was extremely helpful and aimed to please. It was 7 of us and we all agree the place was beautiful with an exquisite view. Very serene and the house is so big that you are not on top of each other. We used the pool every day (which was heated), and we grilled while sunbathing. If ever I am in Miami, which will probably be next year, I will definitely book my stay there again. Thank you Delphine. Cheryl Smith and her group were extremely nice tenants and very respectful. The whole group was very understanding while minor issues happened. They left the villa spotless. I will be back!Great villa! This property has everything you could possibly need to have an awesome time all day every day. If you want to party or relax, this house has a place for it all. The view is absolutely amazing. Although no driving is required to go around town and the beach I do recommend means of transportation to visit neighboring towns and their beaches. Overall, great experience! Will definitely be back! Stayed with my family for 12 nights. Everything worked fine. House is spacious and very nicely decorated. Highlight is definitely the pool area. We loved to spend our time out there. Huge pool, nice sitting areas, BBQ, you name it. The villa Bayview is located in the prestigious neighborhood of Eastern shores. The neighborhood is made up of all man-made canals except the natural canal on the North Side of the neighborhood. Eastern Shores is bounded by Sunny Isles Blvd to the South, Maule Lake to the West, The Intracoastal Waterway to the East, and Dumfoundling Bay to the Northeast.Eastern Shores is located right next to the city of Sunny Isles Beach. There are 2 sides of each street in Eastern Shores, when you are on the main street (Eastern Shores Blvd) you can turn either right or left for each street number. The Left side (West side) of Eastern Shores are all Single Family Homes. Please note that our properties have a 7-nights minimum stay,however,we do make exceptions for 3-nights minimum stay when scheduling allows.Please speak with a member of our sales team at 786 664-8019 for special accommodation request. *Taxes of 13% is not included in prices.